NFL Commissioner Roger Goodell speaks during a press conference prior to the upcoming Super Bowl XLIX at Phoenix Convention Center on January 30, 2015 in Phoenix, Arizona. 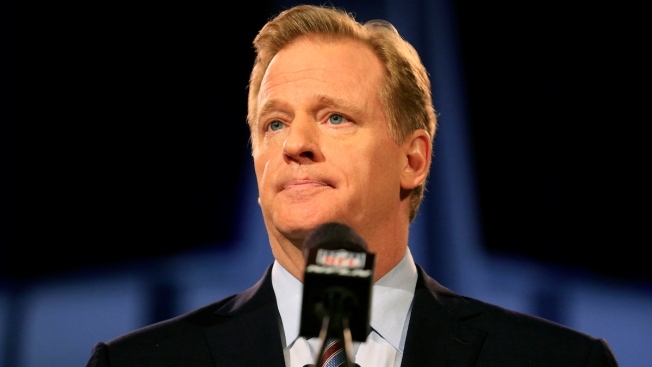 NFL owners are planning to reevalute Commissioner Roger Goodell's role in player discipline after the league was dealt a major blow in the "Deflategate" case on Thursday, according to the Washington Post. The newspaper, citing "several people familiar with the situation," said it's not clear whether Goodell would have less power. One owner confirmed the matter will be discussed, but said he wasn't sure what would happen. The NFL owners are next scheduled to meet in October.